Shrimp dominates aquaculture, both in terms of volume and risk. 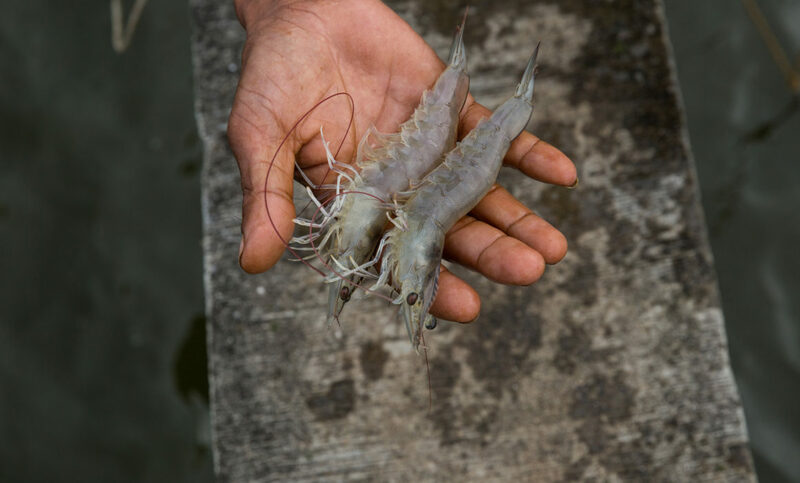 Farming shrimp around the world provides nutrition and livelihoods for millions of people, yet it’s also associated with environmental and social harm, from water pollution to forced labor. Establishing a Sustainability Leadership Roundtable – influencing the future of shrimp aquaculture, the SSP will be working in collaboration with other companies, stakeholders, and NGOs to support and implement industry-wide improvements. Leading an Industry Scale Up Program. SSP will engage World Wildlife Fund (WWF), the Sustainable Trade Initiative (IDH), and ASC to help small and mid-sized farms improve their practices. Driving Consumer Awareness. Creating product differentiation, SSP will work to increase consumer awareness of and reward the preferential environmental and social practices of SSP members.